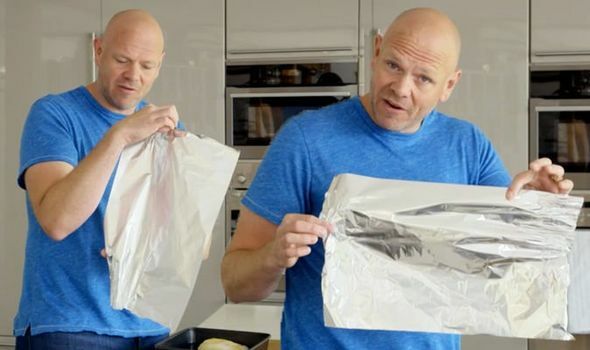 Tom Kerridge shocks fans with top tip – but should tin foil be used shiny side up or down? TOM KERRIDGE left some viewers very surprised during his episode Tom Kerridge’s Fresh Start on Wednesday night, as he revealed that tin foil should be used with the shiny side facing downwards. Many people rushed to Twitter to share their thoughts – but were you aware of this kitchen tip?